Many people see their dull, lifeless looking marble and assume the worst, that the stone is ruined and must be replaced. Notice the poor appearance of the marble floor in the BEFORE image. Fortunately, natural stone is different than other surface material in that the damage can be honed and polished away, revealing the beautiful, undamaged appearance underneath. See for yourself how new and beautiful the marble floor looks in the AFTER image. Marble is a beautiful and versatile stone that gives your business or home a sense of elegance and sophistication. Marble is relatively soft and scratches more easily than granite or other stones. With professional marble refinishing services, such as cleaning and polishing to honing, grinding, and sealing, your etched, scratched, or otherwise damaged marble can be brought back to life. Most problems with marble, no matter how complicated, can be quickly resolved by an experienced technician using state-of-the-art equipment and effective cleaning products. 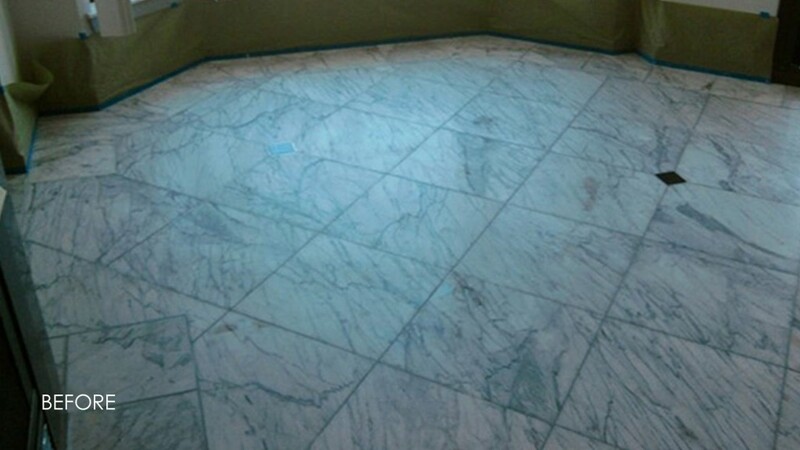 To learn more about marble floor polishing, marble cleaning, and other marble repair services, visit our Marble Services page. 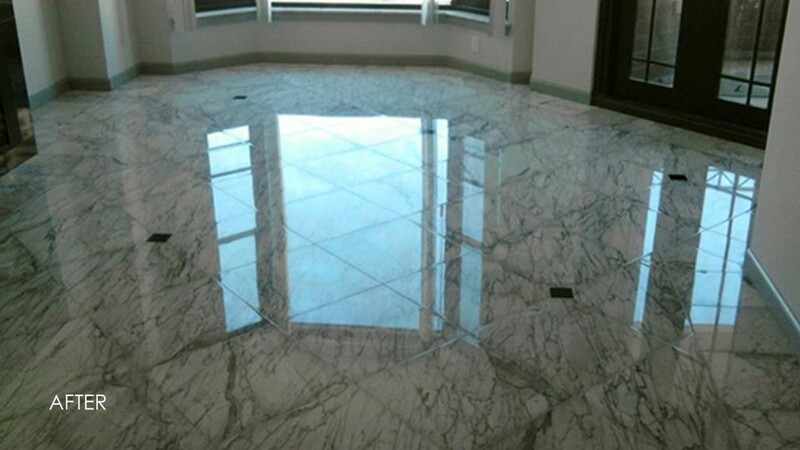 Techstone provides expert marble restoration services, including marble countertop polishing. If you’re located in any of our service areas, contact us online or call 1-888-570-2859 today for a free estimate.